AKG introduces FRLS featured wires & cables ideal for wiring solutions in multi-storied buildings, hotels, hospitals, commercial establishments & residential complexes. It is shielded by a specially formulated flame retardant PVC compound. During fire ordinary PVC emits black smoke and toxic fumes which are acidic in nature. This impairs visibility and hampers rescue operation. AKG-FRLS insulation retards spread of fire & emits minimum smoke and toxic gases. Thereby reducing the risk of injury. So give yourself the promise of security & best quality. Get AKG-FRLS and safeguard your home for life. 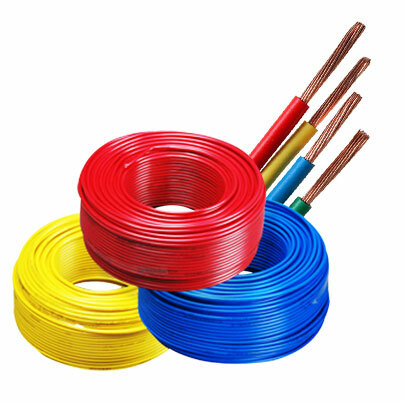 Suitable for use in conduit and for fixed, protected installation particularly suitable for wiring in fire and explosion prone areas, chemical factories, densely wired area, public buildings, schools, hospitals,commercial complexes etc. Conductor : Thin strands of electrolytic copper are multi-drawn for uniformity of resistance, dimension and flexibility. 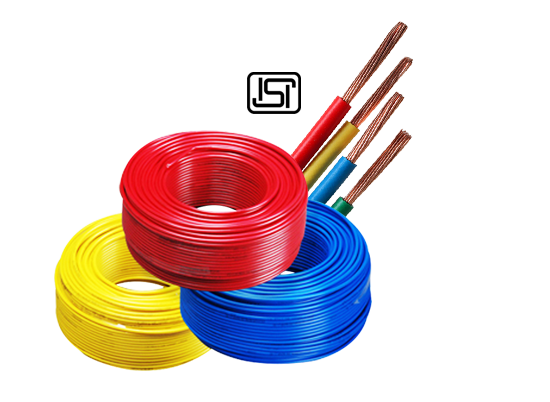 Insulation : The bunched conductors are insulated with specially formulated Flame Retardant Low Smoke Compound. During a Fire situation, the FR-LS compound restricts the spread of flame. The smoke emission is also minimal.